We all have desires. Some of them, we make known to God through prayer. But, have you ever asked yourself the question, “Why do I want these prayers answered?” Do you want them answered for yourself? Do you want them answered for the sake of others? Or for God’s sake? James said, “You ask and do not receive, because you ask with wrong motives, so that you may spend it on your pleasures” (James 4:3). Here we see a wrong reason why you want prayers answered: You and your desires. Hezekiah shows us the right way. He asked for deliverance from Sennacherib, the Assyrian king, who was attacking Judah with his army. Hezekiah concludes by praying, “Now, O LORD our God, I pray, deliver us from his hand that all the kingdoms of the earth may know that You alone, O LORD, are God” (2 Kings 19:19). In other words, Hezekiah is praying for safety, not for his own pleasures, but for the glory of God. He is a God who cares for His people. God loves to answer these prayers. 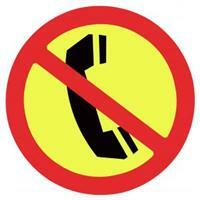 In recent days, our family has received several phone calls wanting us to take part in surveys. Yesterday, after receiving the promise that the survey would take no longer than five minutes, I obliged and answered the questions. When I received yet another call today, I politely said that I didn’t have the time for the survey right now. The woman on the other end then asked, “When would be a better time for you?” I calmly said, “Never.” … There was a long pause as she seemed stunned. Finally, she said, “Goodbye.” Isn’t this the point of https://donotcall.gov? Many put God on their “Do Not Call” list. They don’t want to give God a hearing, … ever. Sadly, this was the case with Israel. “They did not obey the voice of the LORD their God, but transgressed His covenant, even all that Moses the servant of the LORD commanded; they would neither listen nor do it” (2 Kings 18:12). Therefore, they were destroyed by Assyria (2 Kings 18:11). Those who refuse to listen to God will suffer a similar fate. So, listen to Him (Matthew 17:5). 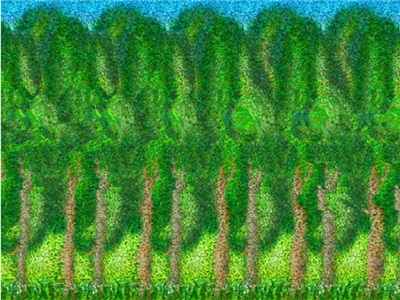 Back in the 1990’s Magic Eye® images swept the world in popularity. Perhaps you have seen their images. If you focus your eyes beyond the image, the image comes to life. You can see it in three dimensions! I love Magic Eye images. Some people can’t see the images. Try as they might, they just can’t get their eyes to focus correctly. I’ve tried to show it to them, but they just can’t seem to get it. 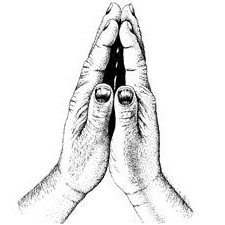 When people aren’t getting spiritual truth, we ought to pray as those in the Bible prayed. Paul prayed, “I pray that the eyes of your heart may be enlightened, so that you will know what is the hope of His calling” (Ephesians 1:18). Elisha prayed, “O LORD, I pray, open his eyes that he may see” (2 Kings 6:17). They were praying for spiritual eyes to be opened to see spiritual realities. I love it when people finally do get it. They see the three dimensional image and their face lights up with excitement. The same takes place when people see the realities of the gospel. Their face lights up and their lives are changed as they finally see the glories of Jesus, who died for their sins. Nehushtan. Now, there’s a word that is probably not in your daily vocabulary. It was the name given to the bronze serpent that Moses attached to a standard. Those who were bitten by the serpents merely needed to look to the bronze serpent to live (see Numbers 21:6-9 and 2 Kings 18:4). That’s how easy salvation is. We merely need to look to Jesus and we will be saved from our sins. Jesus said, “As Moses lifted up the serpent in the wilderness, even so must the Son of Man be lifted up; so that whoever believes will in Him have eternal life” (John 3:14-15).